Microsoft Outlook is a powerful email client provided by Microsoft. Outlook supports two data file – OST and PST. 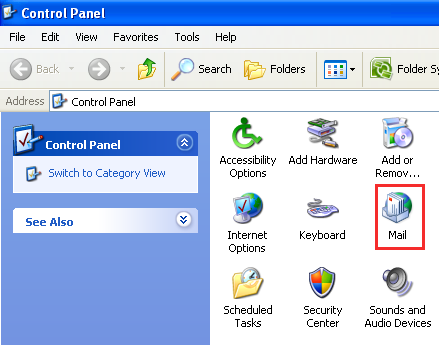 When Outlook is used in conjunction of Exchange Server and cache exchange mode of Exchange Server is enable then OST file is created.User can continue to work and any changes made in this mode are synchronized when connects with Exchange Server. Outlook offers a very good facility to work offline even in downtime of Exchange Server. It has been seen that OST gets inaccessible and damaged due to synchronization error and Outlook produces an error 0x8004010f. This error is generally a MAPI Error Code and this type of error occurs while downloading and synchronizing OAB (offline address book) File, send/receive operation or incorrectly configured the profile etc. So some people who are unable to access the OST file tries to recover it using scanpst.exe file. Unfortunately, "scanpst.exe" is not useful in the Outlook error 0x8004010F. 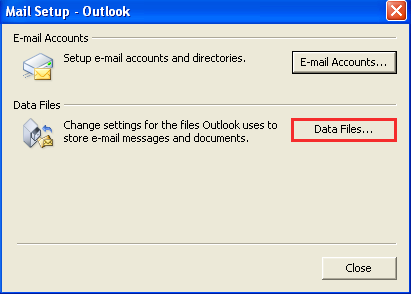 How to Resolve “Outlook Error 0x8004010f : Outlook Data File cannot be accessed”. You need to go through following steps to resolve this error. Go through "Mail-Setup" box, hit the "Show Profile" button under the "Profile" section. 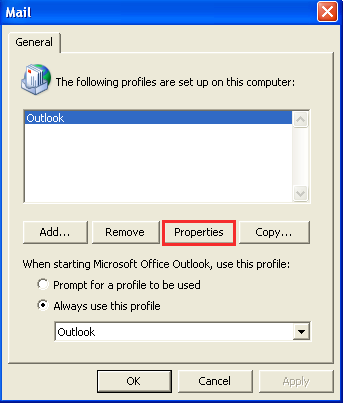 Here you can see the all Outlook profile configured within Outlook profile, you can choose an account and hit the "Properties" button. 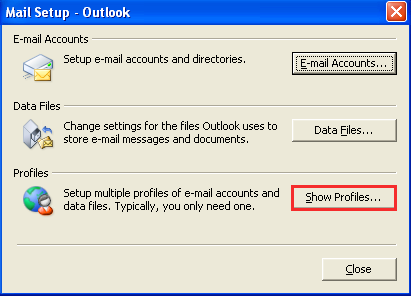 A "Mail-Setup" box will appear, here you need to select the "Data Files" button. Hit the "Mail-Setup" box and go through "Account Settings" window and press the "Data Files" tab to know location of OST file. Finally click the "Close" button. Go through first two steps and reach at the "Show Profile" button & make a click on it. Now, click on the "Add" button. 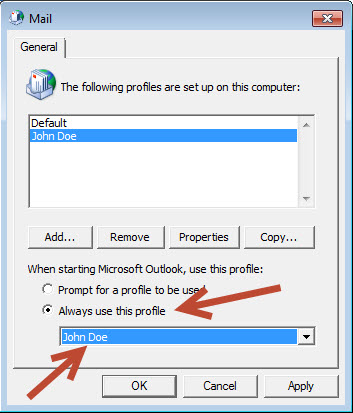 A new Window will appear and here you will enter the name for the new Outlook profile. After providing a new profile name, finally click on ok button. 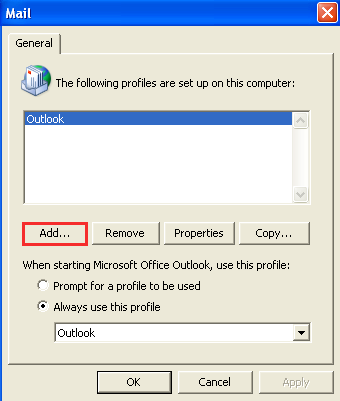 Now, provide the required credentials and hit the "Next" button and it will start establishing the new Outlook profile. Finally, click on “Finish” button. You will select "Always use this profile" option to get rid out from the Outlook error 0x8004010F. If you are unable to fix the “Outlook Error 0x8004010f: Outlook Data File cannot be accessed”, then there is no another way to fix it, You have only one option left is to recover Outlook OST file with the help of third party media. As it will fix all types of corruption issue related to Outlook OST file.